Let me explain. For the better part of the past 30 years, I have helped drive clinical transformations through the installation, modification and adoption of electronic health records. My style has never been meek. 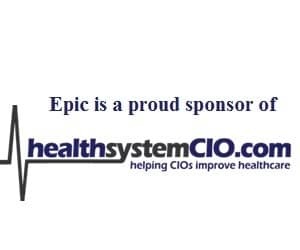 I’ve become a champion of EHRs, touting patient safety and improved care. I have argued with physicians, yelled at CEOs and ridiculed — perhaps not in my best moments — those who did not share my belief in EHRs, CPOE and digital healthcare delivery. Nonetheless, I continued to work closely with physicians, nurses and ancillary clinical staff in understanding the needs of each cohort and worked diligently to create a workflow that was as “contextually based” as we could make it, and as functional and easy to use as each product would permit. It was my Holy Grail. Good work if you could get it! At the end of 5 years, we escorted 300 docs into the digital world. As this work progressed, the need to connect these physicians became more and more obvious. We worked to connect these doctors to the hospital and to each other. In the end, we implemented what became the first HIE in New Jersey. The technology was young and not without challenges, but at the end of the day, we had about 300 docs sharing rudimentary clinical data at about one million transactions per month. There were, and continue to be, some challenges. Mostly we found the data was not integrated, not structured, and not normalized, so there was a lot of clicking around to paint the canvas of an individual’s health portrait. Secondly, the lack of an interoperability standard and the lack of definition on what is included as clinical data often sent us into a maze of confusion, and the absence of a consistent identifier made matching patients somewhat unruly. Over time, each of these elements became better defined, initially by outlining our own standards, and now, as a result of the interoperability effort on the federal level which, albeit not perfect, is certainly better than it was 10 years ago. And of course the largest problem facing HIEs: the lack of a mainstream sustainable model, which fortunately was not one of my issues, as I was privately funded. As we solved these individual elements and put our HIE access into the cloud, my team discovered that we created a very different care stream. Physicians were accessing the HIE for data more and more frequently, using their office EHRs just to document the patient encounter. More than one physician found it more Meaningful to look up current data in the HIE as opposed to their office practice management solution, and indicated that in some instances there was more information “in the cloud” than in their records. I started to think about the implications of this. Add to this new model data from home health devices, data imports from nontraditional caregivers, medications from pharmacy intermediaries, other docs and hospitals, and all of a sudden you have a comprehensive picture of your patient, which is accessible anywhere on any device. Health data becomes a utility, and it is no longer proprietary. If I have a comprehensive model of my patient with data from all sources and my physician is using the practice management solution more like a notebook, it begs the question: what is the virtue of an EMR? I am thinking today the answer is, “I don’t really need one.” Within a hospital or a physician office, the functionalities I need most are workflow, reference and transaction management. I need tools to enforce policies and procedures, and I need tools which help clinicians deliver the best possible care. But I don’t need a longitudinal electronic medical record. My HIE becomes the warehouse of my clinical data. My HIE is my longitudinal record, and it’s a better record because it has the data from multiple sources. It is a more comprehensive picture of a patient which can be accessed anywhere. Of course the potential to do real community healthcare, Syndromic surveillance, and population health is a given. I am not saying the state of technology and adoption has presented us with a tipping point in care delivery, and I acknowledge there is a long way to go in achieving the archetype potential described above, but this should not be the focus of our work. I think we need to start thinking of our EMRs as transaction systems and not long-term records. We also need to look to our HIEs and better design the way they present clinical data to the caregiver, to the patient. Perhaps it is time to question the design and purpose of our EHR, to carefully look at workflow both in the hospital and in the physician office, and ask: ‘Is the reason the adoption of our current application suite is so hard is because we are missing the clinical need our caregivers crave?’ Well, at least the next few years won’t be boring, and I can get back to sleeping, which, by the way, is something is usually do very well.